Believe it or not, I first 'invented' this shot way back in 2003, during our first year in business, and I've probably photographed it 50 times or more since then. It's worth the physical discomfort, since it requires me to lay on my stomach on the ground in order to get a good reflection in the pond. 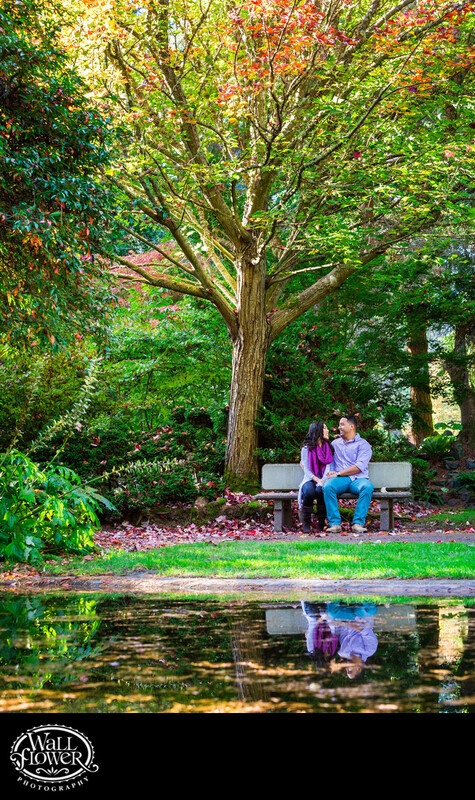 The setting is the Japanese Garden at Point Defiance Park in Tacoma, Washington, where I photograph most of my engagement portrait sessions.